Fencing is one of the oldest modern sports, firmly rooted in the work of Medieval Fencing Masters starting in the 1300s, with formal qualification system for coaches dating from the late 1400s. It is one of the first Olympic Sports of the Modern Era, part of the first games of 1896 and contested in every Summer Olympics since then. It is an international sport; our international federation, the Federation International d’Escrime, has member fencing organizations in 150 countries. 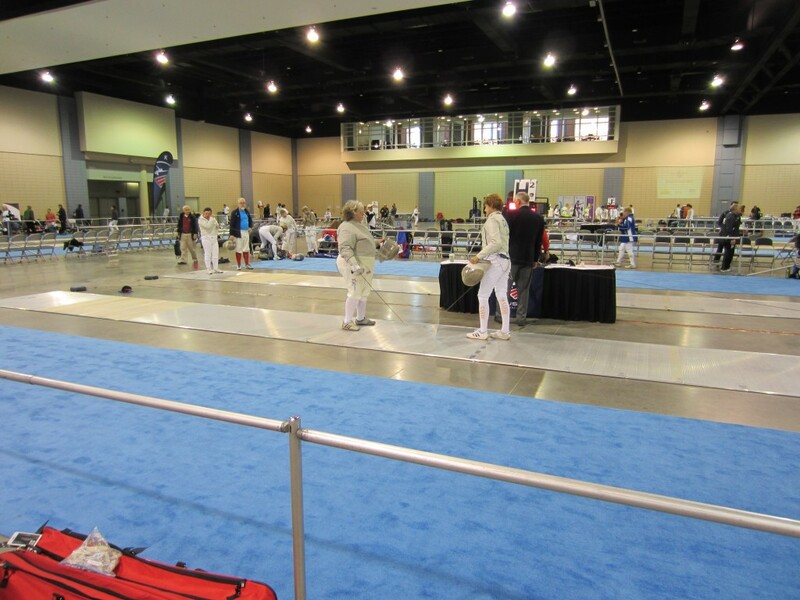 It is a national sport with a National Championships, a Junior Olympics, 7 North American Cup tournaments a year, and enough local tournaments that you can fence in a tournament within driving distance every weekend of the year. It is an individual and a team sport that can meet your goals ranging from fitness and recreation to international competition representing the United States. It is a lifetime sport with fencers staring as early as 6 years old and continuing as late as their 90s. It is a sport of hard work, self-discipline, good sportsmanship, and measuring yourself one-on-one with an opponent, challenging you to be the best that you can be. It is our sport, our passion. At Salle Green our mission is to make lifelong fencers, providing them superior coaching and the support services needed to build success in a culture of excellence. We do fencing. We teach modern, classical, and historical fencing, train competitive athletes, and develop professional fencing coaches. Our objective is to help you meet your goals for participation in our sport, whether educational, recreational, competitive, or professional. We welcome fencers with disabilities, including wheelchair and blind athletes. To be the fencing center of choice for those who wish to excel in our sport, as recreational fencers, competitive athletes, or coaches. We value each and every fencer, regardless of expertise, age, gender or gender identity, race or ethnicity, disability, religion, education, or national origin. The more diverse we, the more people feel welcome fencing, and the stronger our sport becomes. We treat each individual with respect – when you put on a mask, jacket, and glove and pick up a fencing weapon, you are one of us. We value your willingness to work to achieve your goals in sport, and we value your quest for excellence. We value the history and traditions of our sport and the comradeship of a group of individuals dedicated to the sword. We honor the Masters, the hardy men and women who for 800 years have taken sword in hand to teach others, and the great competitors of our history. Collectively they have made us who we are. We demand expertise of our coaching staff, and insist that they work tirelessly to improve their teaching skills and knowledge. We value the traditional bond between fencer and fencing master, loyalty to our Salle and our club mates, and your time with us.